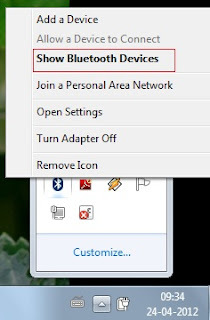 Bluetooth is one of technology which is used to connect other device without a wire, for an example Mobile to Mobile connectivity using a Bluetooth technology and transfer photo or music files. 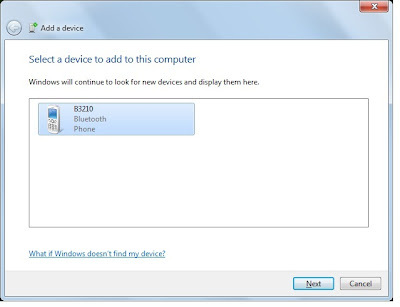 I have taken an example of DELL Laptop and Windows 7 Operating System, Follow below steps to connect with Bluetooth device from Laptop. 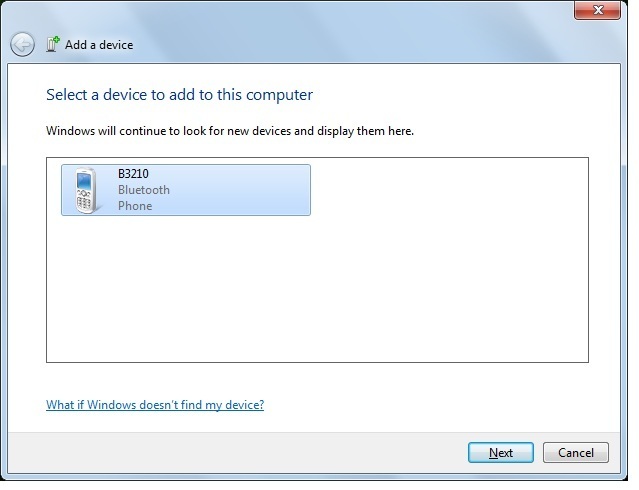 After adding a Device it will search for Bluetooth devices which is nearest with your computer has Bluetooth on.Select a specific device and Say Next. 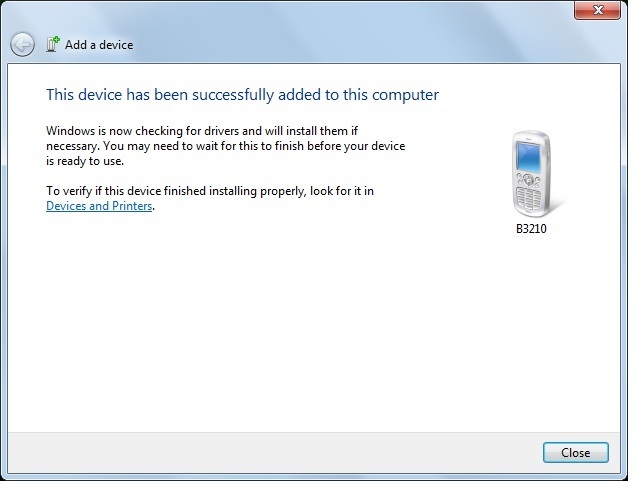 As you say Next it will ask you for paring of devices, check your mobile if something asked , click yes to accept pairing on mobile first then after your Laptop, after accepting pairing at both end you will be added a device successfully. 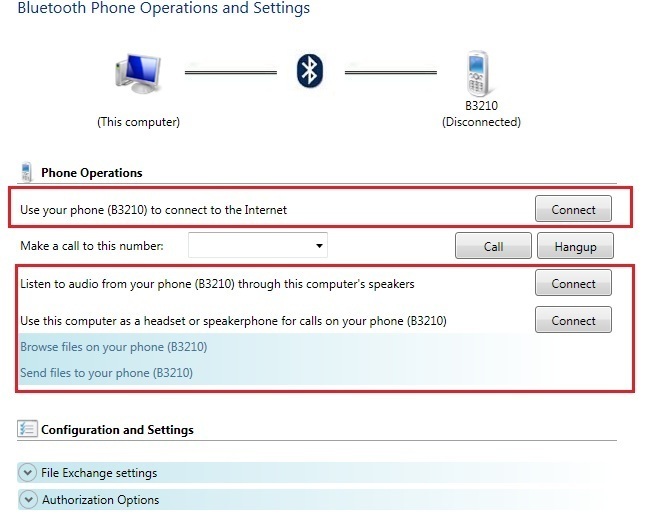 After Adding a device successfully, you will be seeing next screen to perform the operations, if you did not get the screen then you may choose option further from your desktop icon, select option “Show Bluetooth Devices” and select your added devices, you will see the phone operations activity screen. Using first red outline, you may connect to Internet if your phone has GPRS settings and your mobile will work as a Modem and will provide an Internet on your laptop.If you don’t have GPRS settings and you have not used an Internet on your mobile or laptop then call to SIM service provider for GPRS settings and Internet charges and press connect button to connect with Internet. 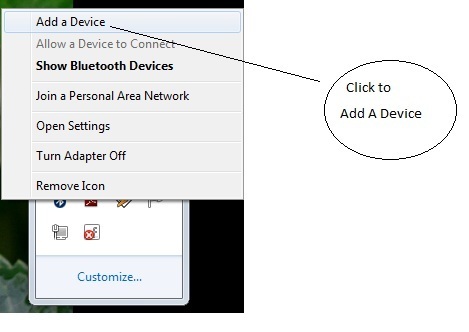 Using Second red outline, you may listen songs from your mobile on laptop, press connect to check it, songs will be play on your mobile and audio will be listen on your laptop. Other second option here is that you can receive your mobile call on laptop and you can talk from laptop itself if your laptop has inbuilt microphone and speakers. 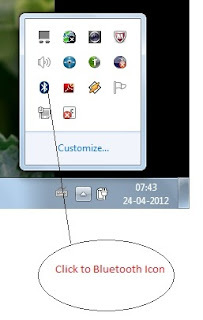 Third option shown in second red outline in above image that is browse file on Your Phone, you can browse files of your mobile on Laptop, but you go for it only if you know the structure of file on your mobile. Fourth option in second red outline shown about send files to your phone, you can send music file like mp3, songs, video file like mp4 on your mobile and it will store in your mobile in memory or files folder.This way is same as sending files from one mobile to other mobile using a Bluetooth Technology. So this was a way to connect with Bluetooth Device, other than mobile in the same way you may connect to printer and other blue tooth enabled devices. 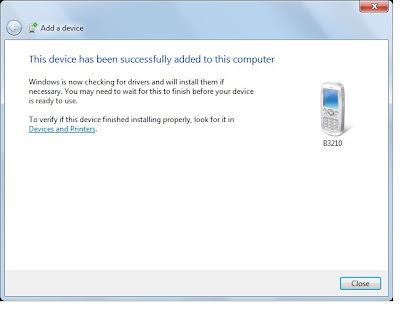 I hope you enjoyed it, download your favorite songs, pictures on your mobile using this technology. This entry was posted in Computer on April 24, 2012 by Yogesh Bajpai.